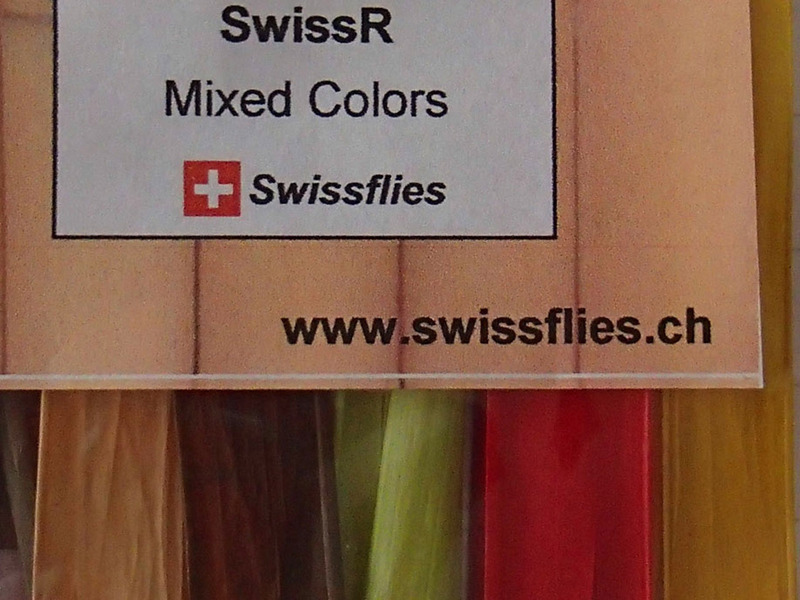 For the most famous Swissflies we use high quality raffia SwissR- natural Swiss colored, nature material- a long tradition of flytying has it's revival. 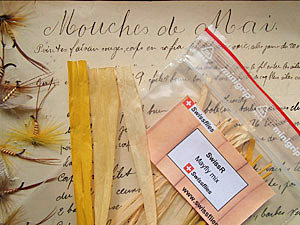 Genuine Swiss straw raffia was the original Swiss straw Joset and Veya and other fly tiers used to make the "Moustiques du Jura" and other famous flies nearly 100 years ago. 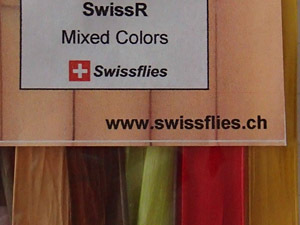 Swissflies offers Swiss straw raffia SwissR - the high quality nature made product in a choice in natural and traditional colors, as used for the historical models- and is the best choice to make new patterns with bodies as beautifulas the old flies. 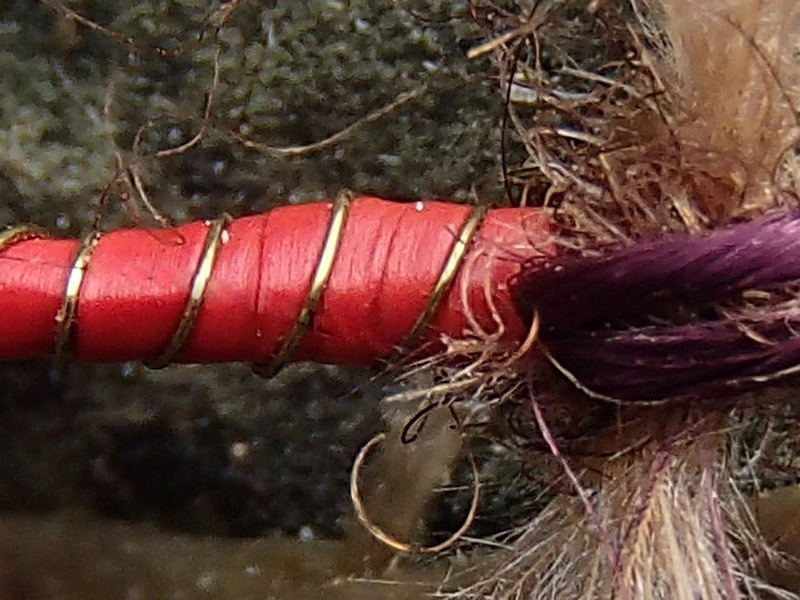 Each string has two colors, because the more rough inside of the strands takes up the color far better, making the color being there more intense/ darker. 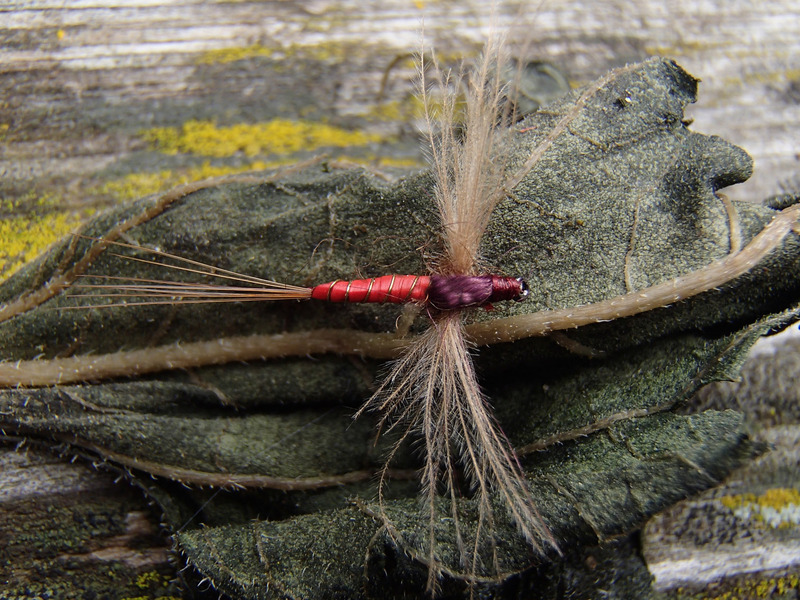 Fly tying: Take a strand of the color of your choice, put for 1 minute in water. make smaller longitudinal strands 1 to 2mm large. 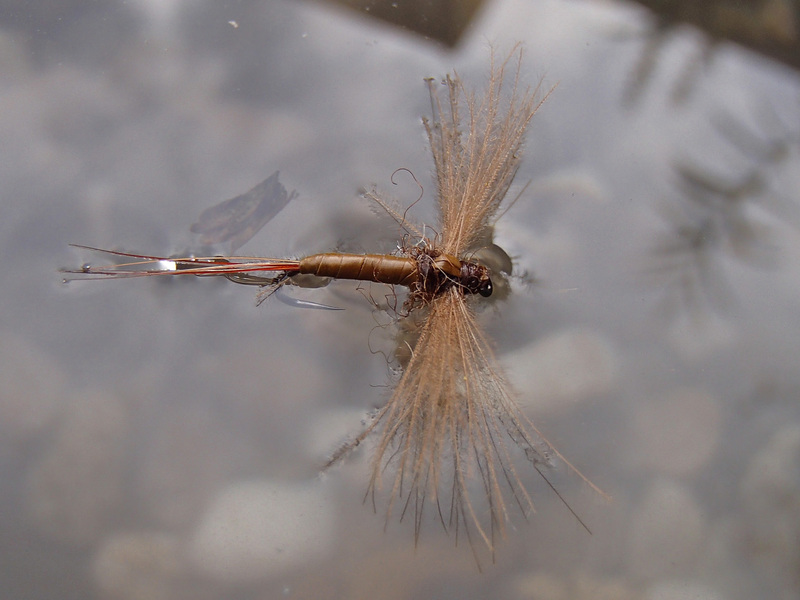 To get a very nice body, tie the strand into the underbody when wet and finish body with SwissR still moist. 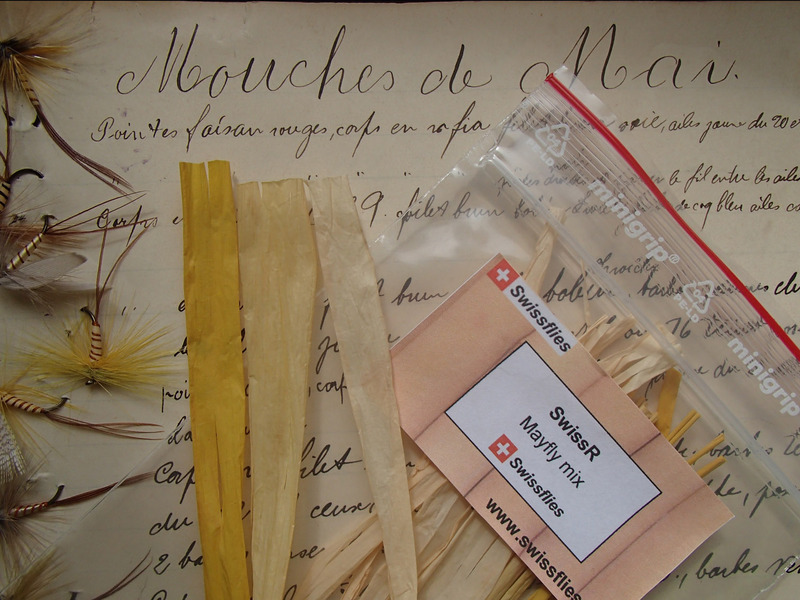 Color of the naturally colored Swiss straw will come back to original color when dry, but when making yellow or beige bodies, we recommend using yellow or white as underbody color. Sold as single colors (10 strips) or mixed colors 2 strips/ color. The best value for money body materials you can buy- we make 250 flies or more per meter. Sold as single colors (10 strips). 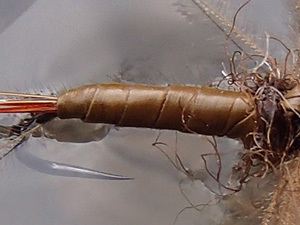 Sold as Mayfly pack with 6 strands of beige natural, and 3 strands each of the other colors. More than enough to make you the mayflies you need. 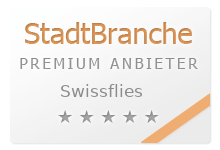 Swissflies will offer a limited number of strands to the interested fly tiers.